Originally released on cassette, limited to 200 copies. Officially re-released as part of the Demon Entrails compilation. 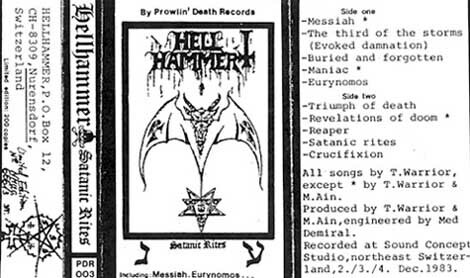 - "Intro" consists of the ending of the song "Triumph of Death" played very slowed down. - "Outro" consists of the beginning of the song "Revelations of Doom" played very slowed down. - Contrary to popular belief, Martin E. Ain does not play bass on this recording. However, at this point he was already an active member of the band, contributing to songwriting and artwork as well as co-producing the record. Recorded at Sound Concept Studio in Northeast Switzerland, December 2nd to 4th 1983.